I just heard from Swype, the creators of an amazing touchscreen mobile application that allows text entry way faster than via normal virtual keyboards. They’ll be making the Android version of their application available to anyone who wants it tomorrow. Update: it has landed. Don’t believe the hype? 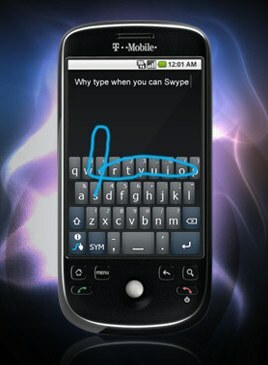 Check out this article about a Swype user blowing out the Guinness World Record for texting speed. Or just watch some of the videos below, including a never before released interview I recently did with Swype CEO Mike McSherry. Until now you’ve had to buy a device that had Swype pre-installed to use it (there are six devices now, lots more coming soon and 50 by end of year). Or one of the lucky 25,000 people who grabbed a timed beta of the Android app late last year. But tomorrow you’ll be able to visit the Swype website and download the Android application directly. You’ll be able to download the app tomorrow morning at http://beta.swype.com/. We’ll update this post and let you know as soon as it goes live.